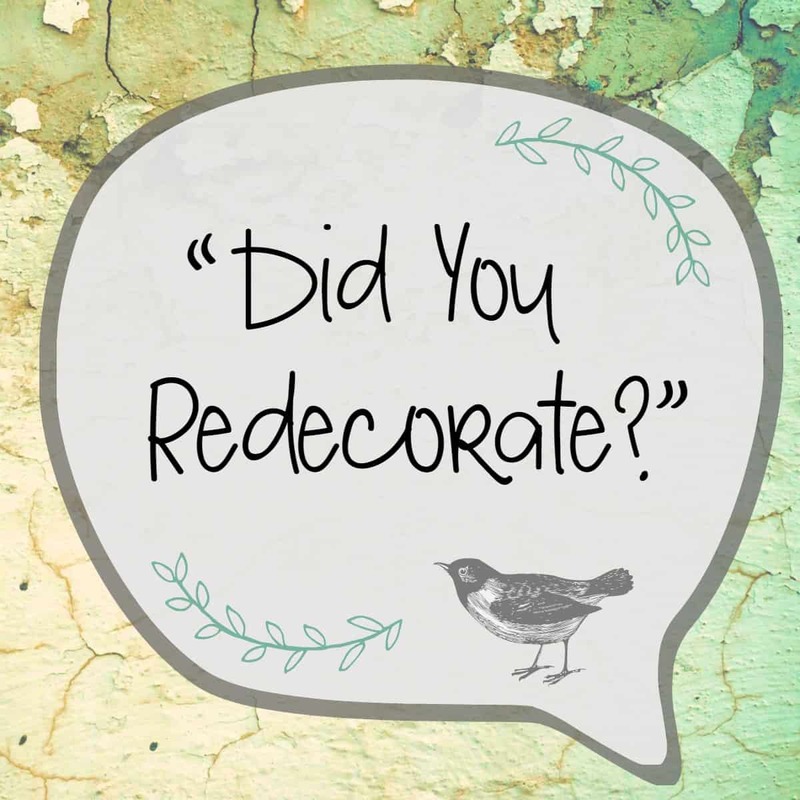 Have you ever finished a huge home project that took you forever, and then someone walks into your home and casually says, “Did you redecorate?” Or maybe you’ve been working out like crazy and dieting for 6 months and someone finally says, “Have you lost weight?” That’s how I feel now that this blog refresh is finally live! Refreshing and recreating is what I do…with anything and everything, right? But somehow in this virtual space, the overhaul has tried my patience and I am so glad to be showing you the new baby today! If you click on my tree logo up top, you’ll be brought to a main page where you’ll see a pretty, snowy picture that I’ll be updating seasonally. The seasons inspire and drive my creativity, so I wanted a canvas to reflect the seasonal changes. Under that, you’ll notice 3 boxes: One for “Create”, one for “Ponder”, and one for “About”. If you click on the “Create” box, you’ll get to all my creative inspiration. The categories include: Styling, Making, Projects, Shoptalk, Adventures, Cooking, and Gardening. They’re a little different than what you’re used to, so I’ll explain. “Styling” is pretty much the same as decorating (but sounds like a more updated word to me;) And decorating seems more house-ish, where styling is arranging items in a visually appealing way-anywhere and everywhere! What’s the difference between Making and Projects? “Making” is anything that is a smaller creative project-usually done inside the house. “Projects” are larger endeavors and are usually done with tools or paintbrushes. That’s where furniture recreations and remodeling projects land. Get the difference? “Shoptalk” is where I’ll be sharing any tips and tricks for those of you who are entrepreneurs. I’ve learned a lot from almost 20 years of making and selling in a variety of different venues and I want to help you succeed in any way I can! I love beautiful, locally owned shops full of personality and hand-crafted goodness and want to see them survive…and their contributors flourish! “Adventures” will be where I share inspiring places I’ve gotten to experience. I’ve got a photographer’s eye and love to share beautiful places with you! I’ve got to include some “Cooking”, because we all have to eat, right? It’s not my main content, but cooking good food equals love in my book, and it’s an extension of my creativity. And I know I always love hearing a good recipe recommendation from a friend! I love bringing a big pot of soup and some warm muffins to a friend in need, and sharing recipes with you feels the same! And lastly, under “Create” is “Gardening”. The outside is just another canvas to spread beauty, I think! From the architecture of gardens and landscaping, to enjoying enough fresh flowers and plants to have bouquets to bring inside my home…I love it all! And then there’s the joy of placing a perfectly patinaed piece of curb-side junk into the yard somewhere-so fun! If you go back to the main page (click on the tree again), you’ll find the other square that says, “Ponder”. This is my new idea and my new venture! The blog posts you’ll find here will be some of my deeper, spiritual thoughts written in a creative, story-like way. They’ll fall into the categories of Nature, Family, and Everyday. God keeps showing me little things in everyday life that teach me more about Him and more about myself. Sometimes I’m running my sander, sometimes I’m just watching the birds and God will remind me of one of His truths or a verse to draw a comparison from. In this new “Ponder” space, I’m hoping to encourage you, too. Encourage you to go a little deeper, cherish life a little more and realize how much you are loved. I’m hoping you’ll enjoy the BIG pictures this new format comes with. I’ve been working hard this past year to up my photography game, because blogging is totally about the pictures, right? On the side, you’ll notice the “Popular Posts” section where I’ll be sharing some of the favorite and seasonal posts. Another bonus is to see my Instagram feed across the bottom! If you like the teaser and are on IG, please follow me, @lorabcreateandponder. Soon I’ll be adding some other social buttons, to make it easier for you to share or Pin. Last, but definitely not least, there are SUBSCRIBE buttons all over the place! For the last couple of months I’ve been sending out a weekly email where we can get to know each other a little more personally. It’s been so much fun. I’d love if you’d sign up. I send the emails out each Friday and include whatever blog posts also, so you won’t miss anything. I know I’m too busy to check my favorite blogger’s sites regularly, so getting their emails keeps me in the loop; it’s so much easier. I would love to get your feedback in the comments, below! I know sometimes changes take a little time to get used to, but let me know your first impressions! This blog exists to inspire, encourage and help you, so if you’ve got any other ideas, I’m all ears! Thanks for spending your time here! I so appreciate all of you!